Do you like Emily as the FBI BAU Unit Chief of BAU? Yes, I&# 39; ll send you a message! Round 3: Who do you think Emily is closer to? morgan or Garcia? Round 3: Who do you think Emily is closer to? Hotch or Reid? Round 3: Who do you think Emily is closer to? Rossi or JJ? Anyone else get the feeling that they aren't going to kill Prentiss? I feel like they're going to trick us or something. Emily honestly did not dislike Valentine’s Day. She actually enjoyed it; she being a bit of a hopeless romantic at heart. The dia usually put those around her in good spirits, spreading amor and joy and friendship. And the chocolate was also a plus. Emily brushed a strand of dark hair aside with the back of her hand. She rested her arms on her legs, leaning progressivo, para a frente in the hard, plastic chair. She stared intently at the prone man before her. His face displayed a false sense of calm, the tightly gripped cama sheet in his left hand revealing his inner turmoil. “Abby, I don’t get it,” Darryl stated quietly as he sat up in cama and watched his fiancé fret. “What’s not to get Darryl? I want to know who my birth parents are,” she replied, annoyed por his reaction. Written por dancerindisguise on fanfiction.net. a poll foi adicionado: Do you like Emily as the FBI BAU Unit Chief of BAU? 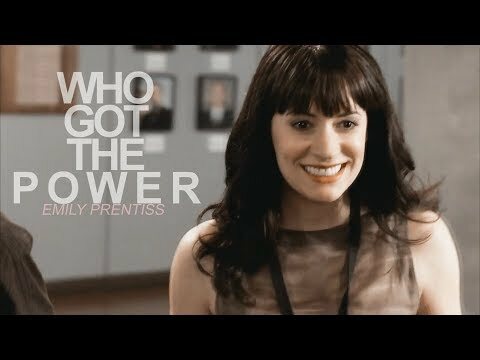 a video foi adicionado: Emily Prentiss | who got the power? a comment was made to the poll: Do you ship Emily with someone? She needs to give Prentiss three bank accounts. Paris is a hot place to have a rendezvous. She needs to give Prentiss three passports.